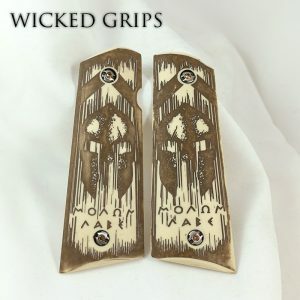 This category focuses on our line of Mammoth Ivory and Tooth inlay, imitation Ivory, replicated Buffalo Horn, proprietary metals and synthetic gem grips. 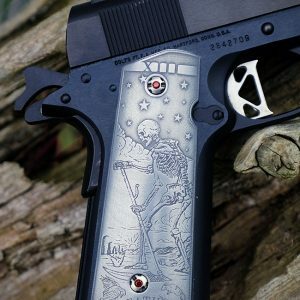 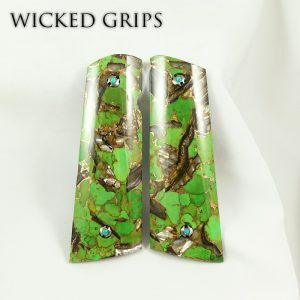 Handcrafted here in Davison, Michigan in unique materials we have created, each set is made one set at a time, a true one of a kind. 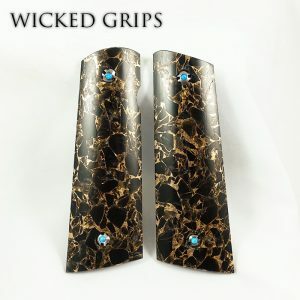 Our Ivory is a legal 15,000 year old material sourced from legal sources. 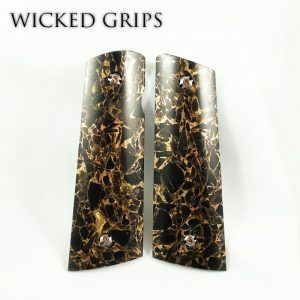 Our synthetic gem sets are designed to give a look never seen before in the industry, while at the same time be tough and durable for use. 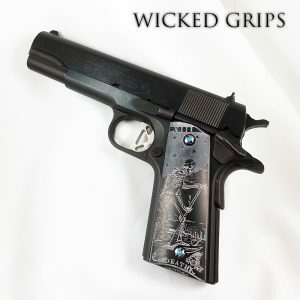 Please read care instructions on our FAQ page before purchase. 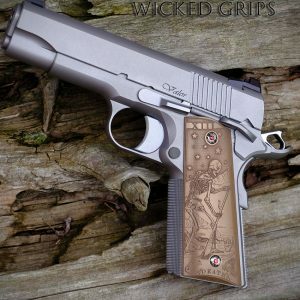 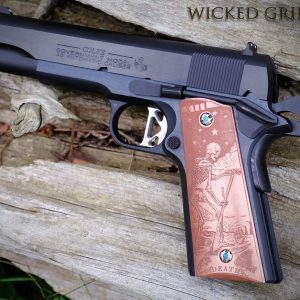 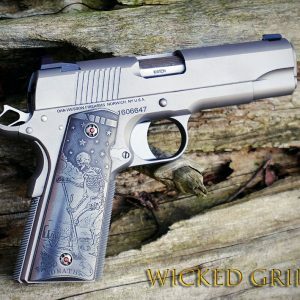 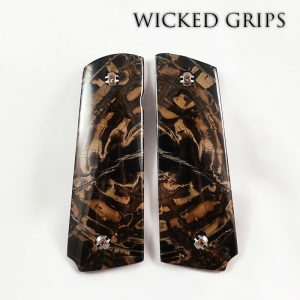 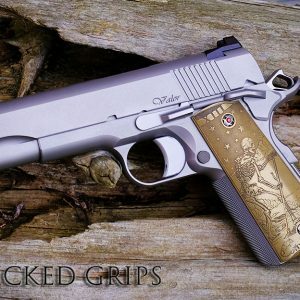 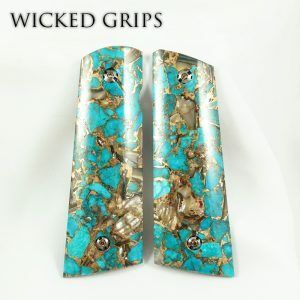 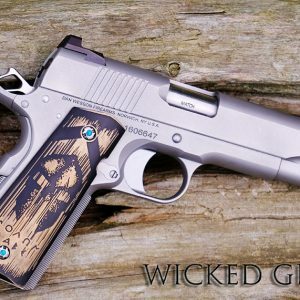 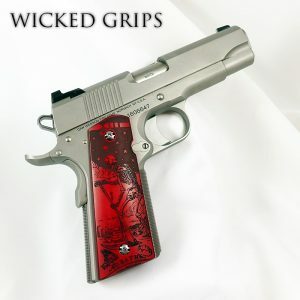 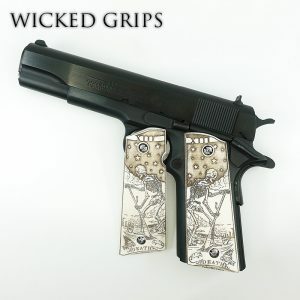 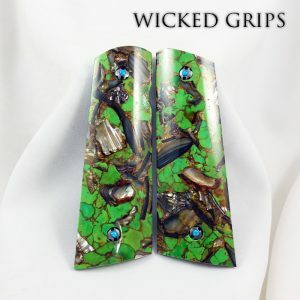 Note… Please be sure to watch our video on grip fit if you are unsure about your specific model requirements, or contact us info@wickedgrips.com before purchase so we can assist you.